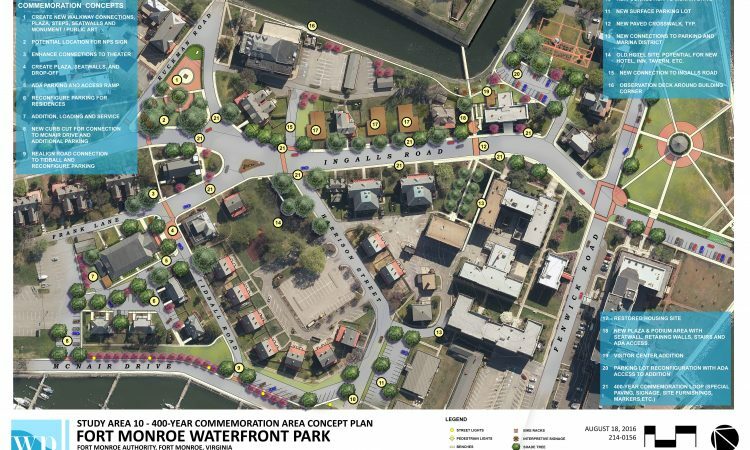 WPL participated in a master planning charrette in the winter of 2010 to evaluate the land use for the Wheery Quarter section and the northern recreational areas of Fort Monroe. WPL specific responsibility during the charrette were to study the Chesapeake Bay and Mill Creek waterfronts, the Wherry Quarter site with homes demolished, and to evaluate the use of the northern property for long term recreational use. 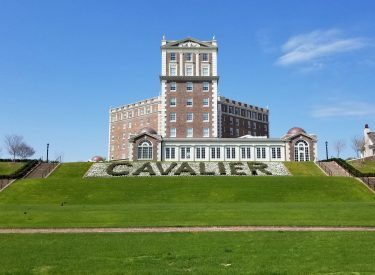 The programming criteria requested that the northern land incorporate athletic fields, ball diamonds, nature trails, wetland walks, waterfront promenades, and an adaptive re-use of the Paradise Ocean club and associated parking. Multiple park schemes were developed by WPL Landscape Architects to depict varying options for the lands use. These ranged from a passive natural park setting to a more intense athletic and recreational use with supporting parking. This design work was done prior to President Obama dedicating Fort as a National Park Service Monument which incorporating the northern land into a NPS easement. 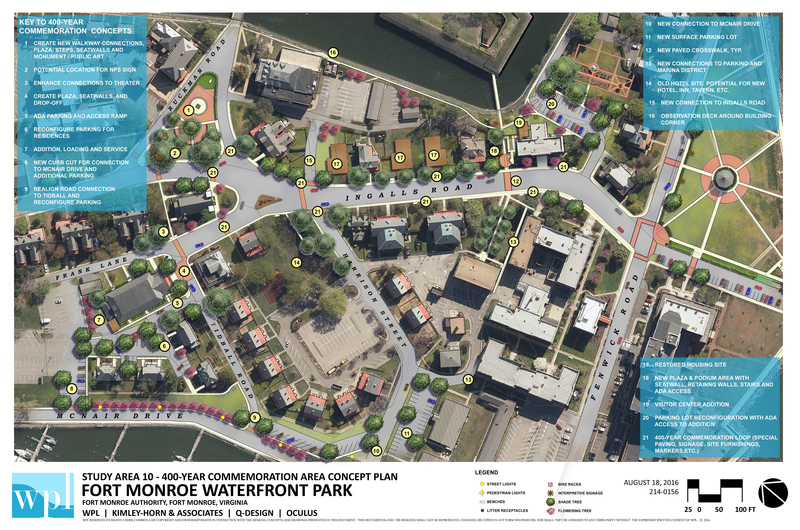 The Fort Monroe Authority issued a request for proposals to design and plan a connection of waterfront parks on the Old Point Comfort peninsula surrounding the fort. 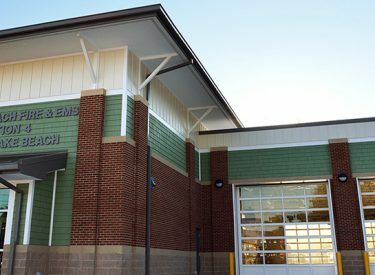 The purpose was to incorporate their three main goals of preservation, telling stories, and being economically sustainable. 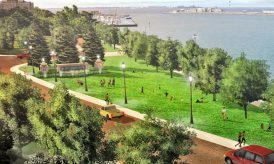 WPL was awarded the project and determined that the purpose of the waterfront park is to preserve open space along the water for the public to enjoy rather than allowing development to encroach. This will allow for future resiliency as well, including the threat of sea-level rise and flooding. WPL is conceptually designing these open spaces to be both historically sensitive and allowing for modern updates and use. Pedestrian, bicycle and vehicular circulation is being considered in each of the parks as well as multi-functional uses such as areas for large events, private rentals, and small gatherings – each of which will function as passive open space when not in use. Connections throughout the park system, to the fort and to the water are a major concept in the overall waterfront park plan. 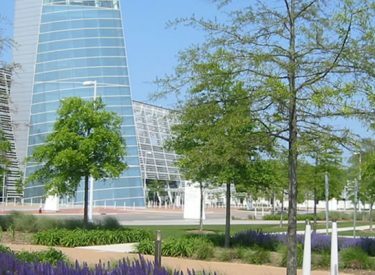 A 7-mile trail is being proposed around the peninsula which circulates throughout the entire waterfront park. 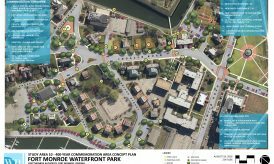 Nine focus areas within the overall waterfront park are being studied including the main entrance, the marina area, Continental Park, the fishing pier, the battery & Outlook Beach areas, Glacis, Wherry Quarter, the kayak launch area, and the community center. In addition to studying the nine areas within the waterfront park, WPL has been tasked with planning for a visitor center as a legacy project for Fort Monroe. 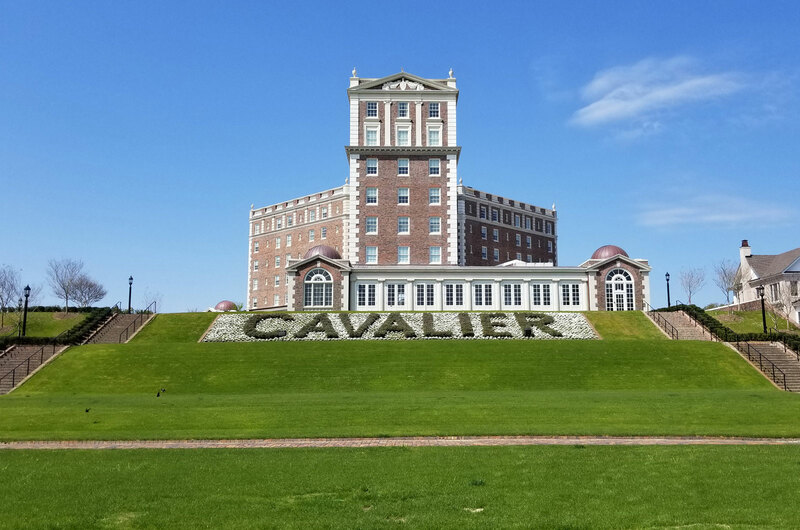 The existing library and theater buildings will be adaptively reused and renovated and will be turned into a “National Center for Freedom” which will speak to the history of Fort Monroe and specifically focus on the first Africans to set foot on US soil in 1619. Public open space focusing on gathering areas and public art will be integral to the overall design. Connections to the Casemate Museum within the fort and to the overall waterfront park system are being studied. Special materials and details will be specified within this commemoration area in order to signify the historic events that took place there.